Over the winter, your garden, and the fence in particular, is subjected to freezing temperatures, wind and rain, so when summer finally comes around, it’s a good time to give it some TLC. To renew its strength and to give it a new lease of life, treat it to a couple of coats of fence stain – we've found the best money can buy. When it comes to choosing between fence stain and fence paint, many experts recommend fence stain as the superior product. This is because fence stain does a better job of soaking into the wood, with its protective properties should last longer. Plus, it doesn’t peel or blister like paint but rather fades, which indicates to you that a top up coat may be required. Ronseal Quick Drying Woodstain makes the top of our list thanks to its superior qualities and fast drying time. If you’re looking for a cost-effective fence stain, a product like the Colours Timbercare Shed & Fence Stain should do the trick nicely and coming in at around £9 for 9ltrs, won’t pull on the purse strings. It may be expensive but if you’re looking to provide your fence with the ultimate level of protection, this stain from Ronseal should do the trick nicely. According to Ronseal, it’s highly water repellent, resists cracking and peeling and protects the wood against UV rays, too. There’s a range of natural colours to choose from, including Satin Walnut and Satin Dark Oak, giving you plenty of options for your garden’s new look. This fence stain from Sikkens is the most expensive on our list, which is why it doesn’t quite make the top spot. Those looking to enhance the wood’s natural properties will love the translucent nature of this product, while those wanting to make sure that their fence benefits from the highest levels of protection should take note of its resistance against mould, algae, UV radiation, peeling and cracking. Providing your fence with basic protection, this is a great fence stain if you can’t justify the outlay of the others. It’s incredibly quick drying, too, which means your fence can be given a new lease of life after just one morning in the garden. With its lower solvent levels, you benefit from fewer air pollutants and, according to the brand, it’s safe to use around pets and plants. This Cuprinol Spray Fence Treatment is compatible with the Cuprinol sprayer, which should enable you to treat your fence to a quick and even coverage. It’s worth noting that this product is, according the brand, also safe to use around pets and plants. In addition to providing your fence with a fresh colour, it protects it against the weather, and with a drying time of just two hours, doesn’t take long to come into effect, either. Don't miss our best paint sprayers buyer's guide to get yourself kitted out, too. If you’re looking to protect your garden fence against rot, decay, wood burrowing insects and fungi, this preserver from Ronseal is the perfect choice. 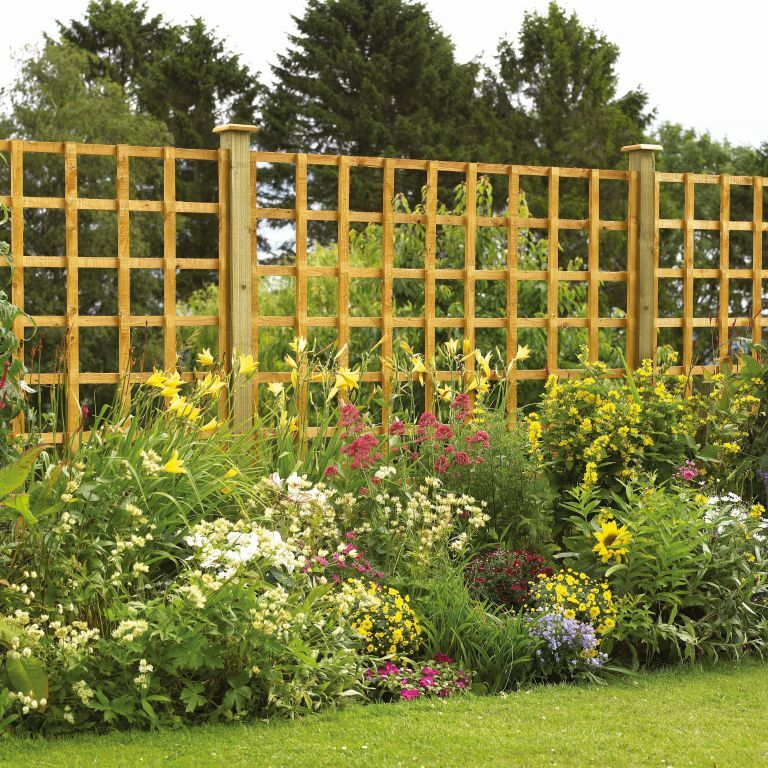 The product also provides your fence with waterproof protection and a natural colour. With users saying it is every bit as good as more expensive wood stains, so long as you don’t mind the 24 hour drying time, this product from Ronseal is a great option. With an RRP of just £14 for 5 litres, this treatment from Cuprinol may not be a traditional stain but it’s very cost effective and provides complete protection against the weather. It’s quick drying and low odour and like a couple of the other products on the list, safe to use around pets and plants. With a drying time of just two to four hours, guaranteed five year protection and a host of colours to choose from, this fence stain is certainly worth looking at.